I hit the water alone this morning. The plan was check out a new location and see what it had to offer. The walk in wasn’t as bad as previously thought and within a few feet of shore, I was punching holes. Planning on a cold day, I was dressed warm with my shack and all. I didn’t end up using the shack or even wearing the jacket. 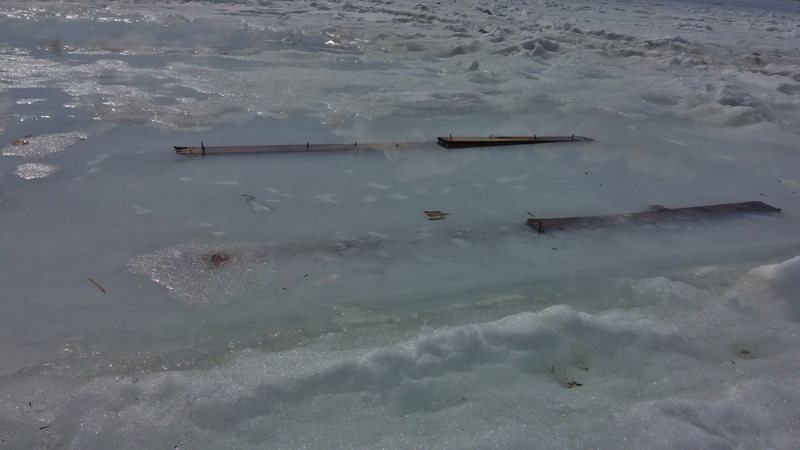 The wind hadn’t picked up yet and the cold was overcome with warmth from punching holes. Luckily, after cooling down, I stayed warm catching fish. 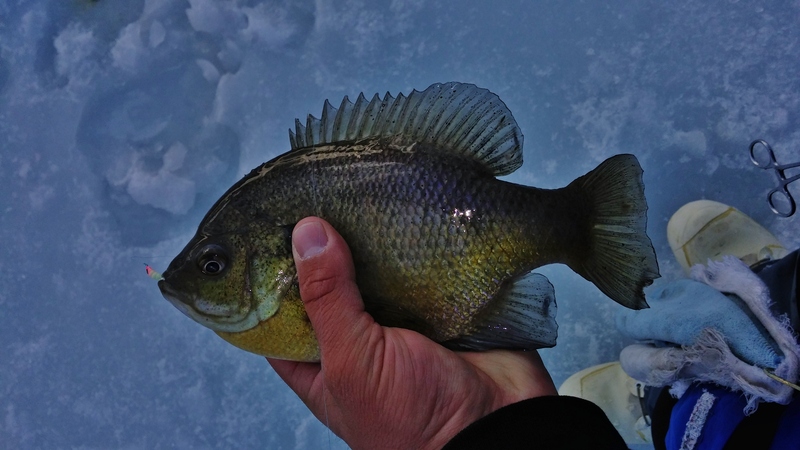 Within only a few holes, the number of perch that I had caught was pushing past 75. While they weren’t all keepers. 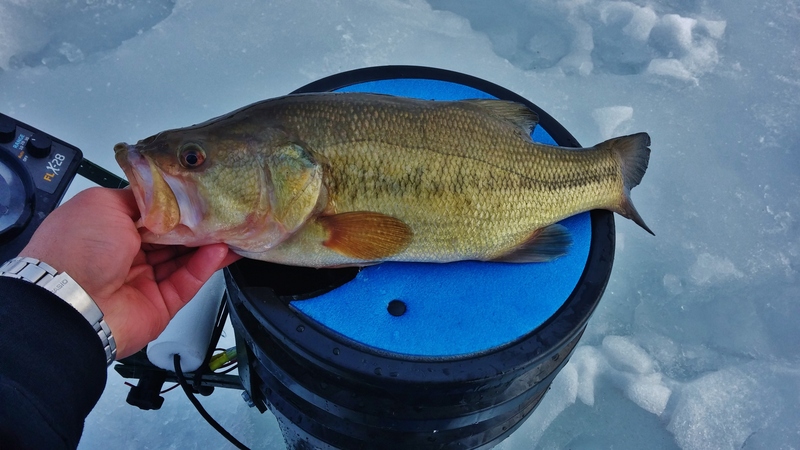 I was averaging 10″ with a few over the 12″ mark. As I started working through more of the holes, I found very limited weeds and perch just about everywhere. A subtle change from 5 to 4 feet brought different species under my feet. While bass were the predominate species, bluegill started to show up as well as weeds. The shallower I pushed the more bluegill I started to catch. 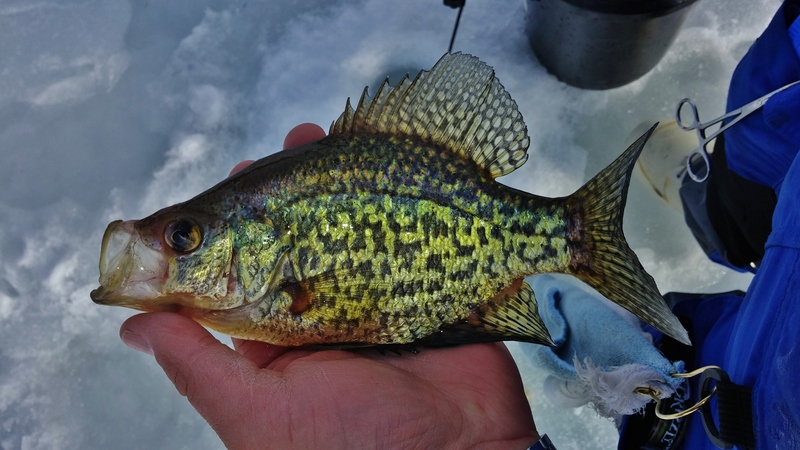 Fishing only inches below the ice, I stumbled into some crappie. The size was lacking but I knew in time that I would find some better fish if I kept at it. After spending the majority of the morning, I packed up and headed with a buddy to the North East Kingdom to look for some cusk.